An Ohio Land Contract should be filed with the County Recorder in the county where the home resides. The purpose of recording a Land Contract is to provide “constructive notice” all persons that the Land Contract exists, including any subsequent Buyers, mortgagors or lenders. Recording a Land Contract provides protection for the Buyer, as recording informs the world of the existence of the Land Contract and puts others on notice that the Buyer has an interest in the property. Whether the Land Contract must be recorded is a matter of state law (i.e. depending on the state where the real estate is located). Many states require that the Land Contract be recorded, although courts in many of these same states have ruled that not recording the Land Contract does not make the contract unenforceable between the parties. 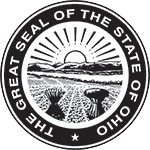 In Ohio, it is required that the Seller record the Land Contract with the County Recorder, doing so in the county where the property is located. The recorded document must contain the legal description of the property, and the recording should be made within 20 days of its signing. If the Seller does not record the Land Contract within 20 days, the Buyer should record it to protect the Buyer’s interest.